Hey! Look at all those people in the comic that donated! You could be a comic character too! Or get giraffe drawings! Or other cool stuff! Thank you all for the support! 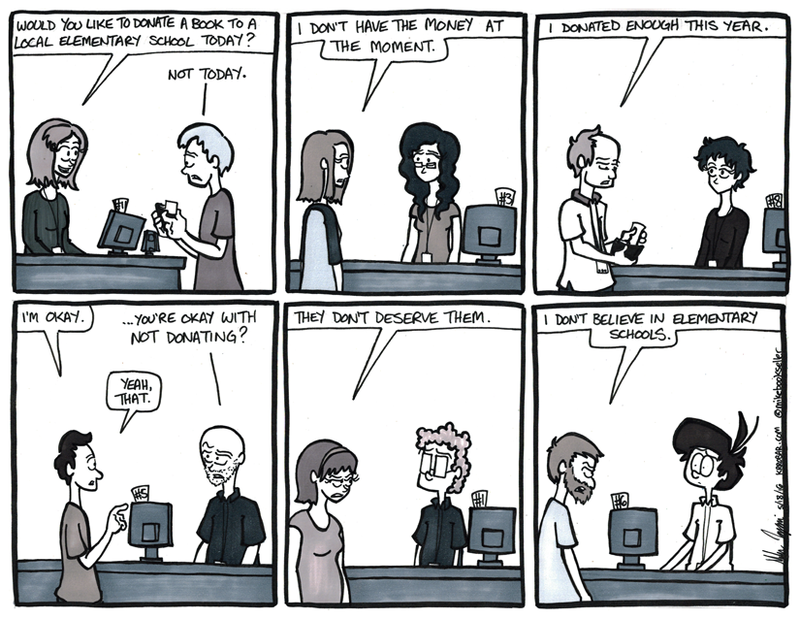 The customers in the comic above are answers that Tracie has actually had, plus one from my own personal experience. Have fun guessing which one! Thanks for sharing, Tracie!